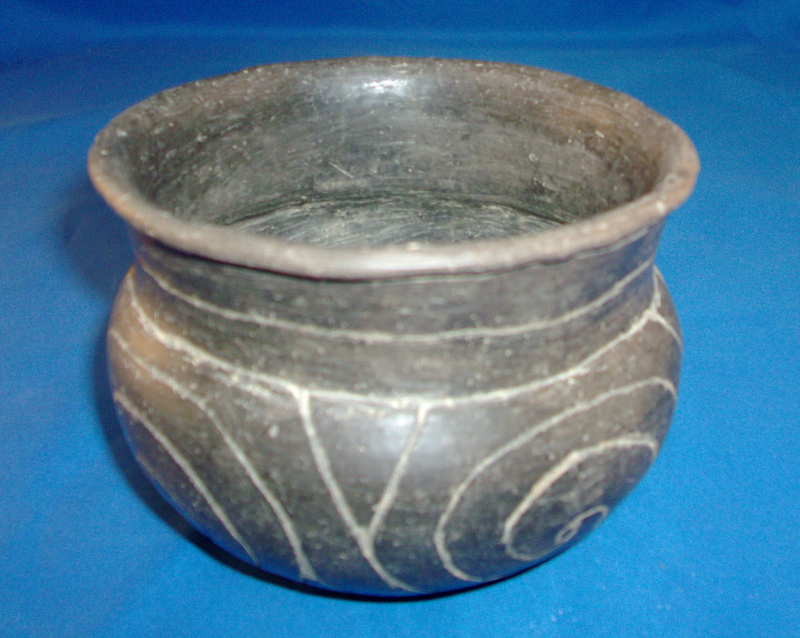 A Medium Size,Very Well Made, Caddo Taylor Engraved Bowl That Exhibits Surface Aging And Exterior Clay Coloration Type Patina, Visible Surface Aged Shell Deterioration, Aging In The Engraving, Correct Bottom Wear, Correct Type Material And Manufacture For The Area Found. Found By Rick Ashley In Miller County, Arkansas. This Nice Example Has A Good Smooth Stone Rubbed Burnished Surface, Excellent Taylor Type Engraving, Nice Design And Shape, Being In Solid, As Made Condition! Includes A Ken Partain Certificate Of Authenticity!